Since 2010 Leicestershire Libraries have offered weekly drop in work clubs open to anyone across the county. The work clubs have always been well attended and provide a much valued service to job seekers using the library. Work clubs have a well-established link with local job centres that ensures a constant and steady stream of new participants - which in turn opens the library and its many services to people who may never have been in one before. Our work clubs’ reputation is so high in Leicestershire that it attracted the attention of a new family social inclusion project. 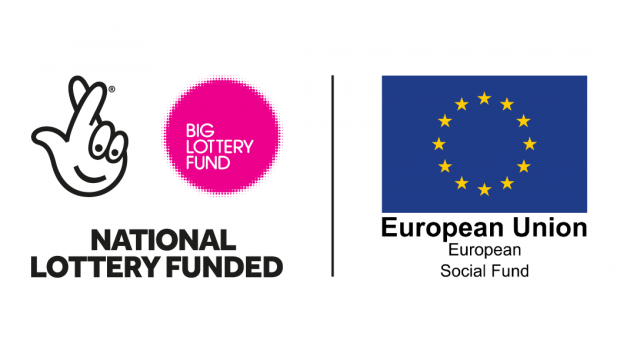 The Great Project is a £2.4 million project, jointly funded by the Big Lottery and European Social Fund. The project is delivered by Voluntary Action LeicesterShire and is part of the Building Better Opportunities consortium. Leicestershire County Council (LCC) work clubs successfully bid to become a delivery partner on the 3 year project, running “pop up” work clubs to at least 150 participants on the project. The project aims to help families, furthest away from the jobs market, to access employment and training. This can include ethnic minorities, long term unemployed and people with enduring health and mental health problems. 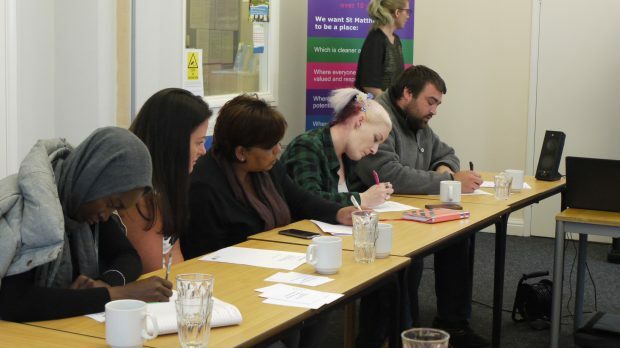 The work clubs are run throughout the Leicestershire and Leicester City areas. We aim to be conveniently located in people’s communities, especially areas which are isolated or have poor transport links. Pop up work clubs take place in city and county council run libraries, as well as our community managed libraries (mainly in rural areas). These venues provide a proven “magic formula” for running work clubs: having excellent IT equipment as well as being open, welcoming and fully accessible. Libraries are a neutral venue, open to all, but when you enter the front door, no one need know what your visit is about. In this way libraries are essential for someone involved in an activity - for example accessing advice about how to deal with addiction - which might carry a stigma, or people with low confidence and/or mental health issues. As a result of attendance at the work club our participants are coming to libraries having never set foot in one before. As they become more comfortable using the venue we begin to promote some of the other services on offer which can provide “added value” to their goals on the project. For example, our health and wellbeing offer, provides information on a wide range of health and mental health topics, which are often prevalent in our target groups. The project itself aims to help participants improve and manage their health conditions through our partner, Healthy Working Futures and our information offer complements this well. As we are a family social inclusion project, many of our participants have young and school aged children. We actively promote our children’s offer, ranging from our Story and Rhyme sessions to the annual summer reading challenge, again increasing the reach to disadvantaged children. Alongside free computer use and book lending, Leicestershire libraries offer some of the best value holiday activities around, featuring anything from live animals to coding, theatre performances and even Saturday Lego clubs. Our participants are often living on or below the poverty line and their children regularly miss out on cultural activities. Where our participants have never used libraries before neither have their children; therefore through participation in the work clubs we have encouraged families to come along to activities as they feel more confident using the venue. To find out more about what is happening in Leicestershire libraries, follow them on twitter, on facebook, or take a look at their website.